Sunday December 30th 2018 is certainly a date to keep in your calendar. 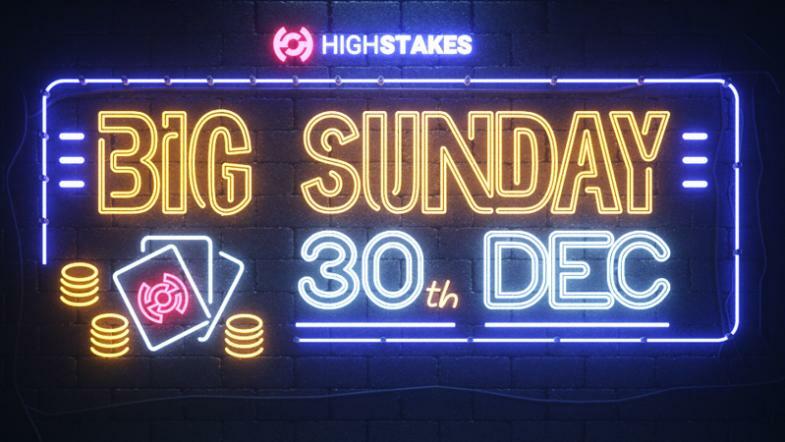 On top of HighStakes normal Sunday MTT Schedule, we are going BIG on the final Sunday of 2018. Whether this year has been good, challenging, unfortunate or just mediocre, the BIG Sunday, is your chance to to give 2018 a final tune up. ⬇️Download HighStakes Poker and browse the MTT Lobby.